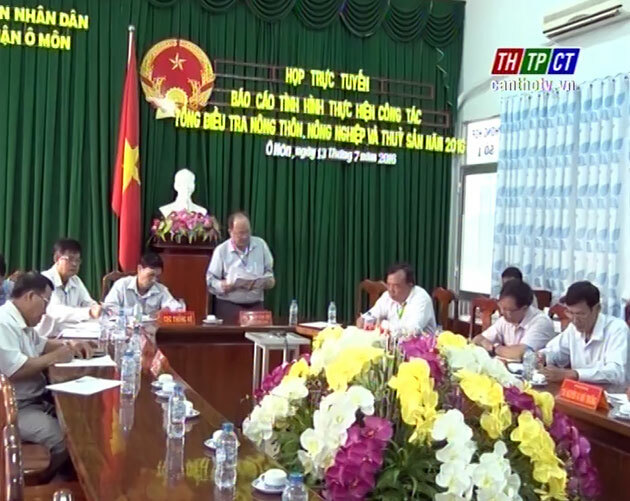 On July 13th, Ô Môn district statistics branch held online meeting with all wards to evaluate the implementation rural, agricultural and aquatic general investigation in 2016. Over collecting information from July 1st to 13th, Ô Môn district collected 9,691 households, reached 76.6%. In early days of information collection of the district steering committee, supervisors actively came to areas to inspect cards on time to remind, interview, take notes into card to limit wrongness./.